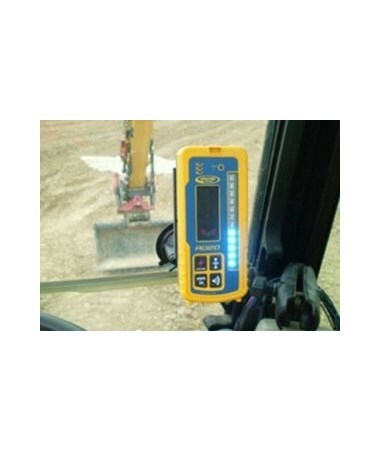 The Spectra RD20 Wireless Remote Display is one of the best wireless remote displays that provide grade information without getting out of the cab of the construction vehicle. 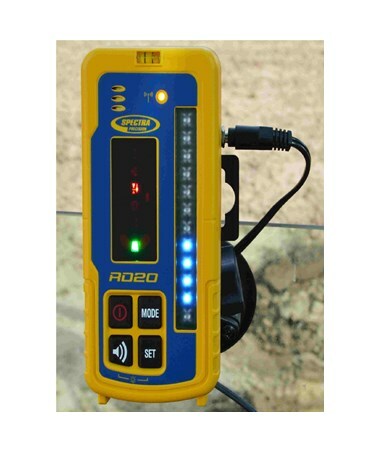 It is designed to work with the LR30W, LR50W and the LR60W laser receivers. 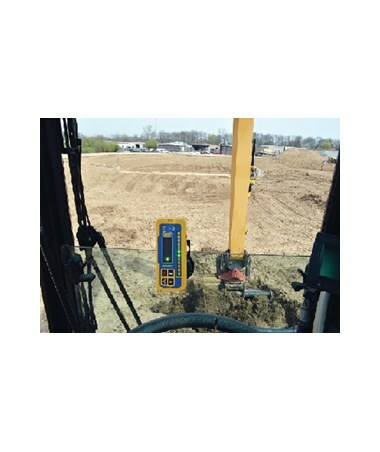 With a built-in state of the art radio frequency technology, this wireless remote display prevents interference even when multiple machines are working in the same area. Plus, it can work within a 100-foot radius. 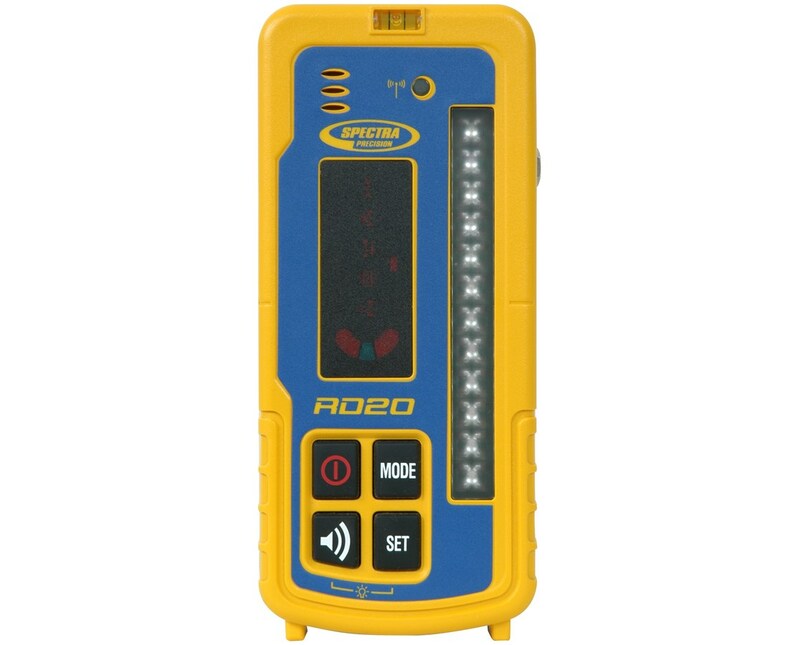 The RD20 features large and bright LED indicators - red, blue and green for high, on-grade and low indication. These ultra-bright colors are easier to distinguish for quick glance elevation location. Also, this remote display features a built-in speaker that provides distinct audible tones for a quick grade recognition. It produces it loudest beeper volume of up to 105 decibels. 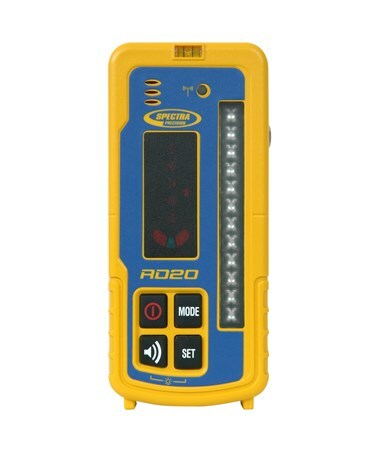 To increase up time and productivity, the RD20 offers dual power options of either using batteries or connecting to a machine. Also, it has an auto shut-off function that turns the instrument off after 30 minutes of inactivity. With an IP67 environmental rating, the Spectra RD20 is dustproof and waterproof.